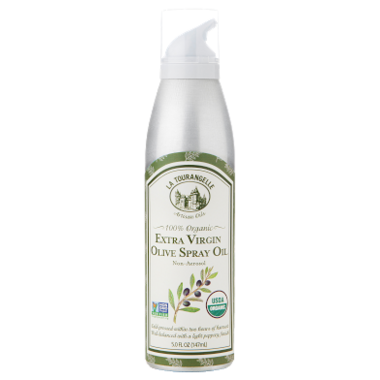 100% Organic Extra Virgin Olive Spray Oil, BPA Free, Non GMO, cold extracted from organically grown Picual olives harvested exclusively in a single family-owned estate in Andalucía, Spain, well-balanced, intense and fruity extra virgin olive oil with hints of freshly cut grass, almond and fresh olive leaves with a light peppery finish. Finally an organic Olive oil in a spray bottle with no nasty additives. I will reorder it for sure! I really love this stuff. Use it everyday for my eggs. Works great. Ingredients are great. Price is great.